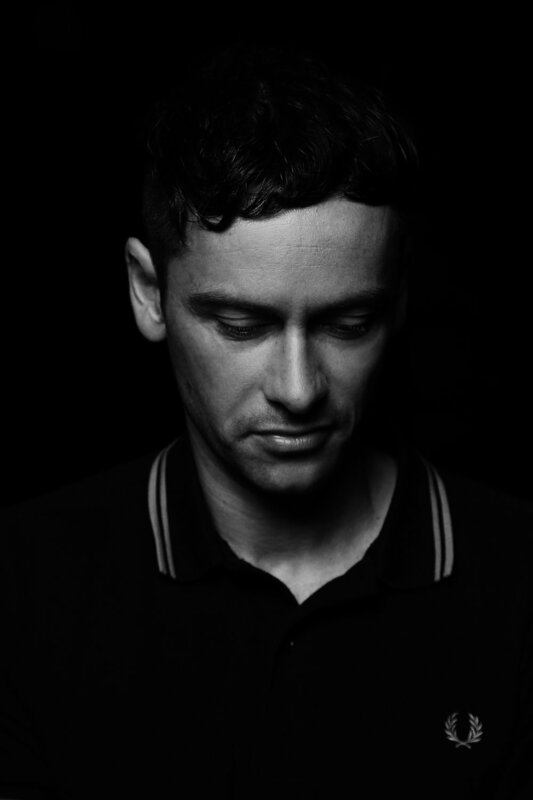 Ancient Methods is without any doubt one of the most exciting and iconic artists and DJs in the world of electronic music. With every release you get a glimpse into a fascinating world inspired by stories, myths and sonic images. Five years after Seventh Seal was released on Ancient Methods' eponymous label, his debut full length album, The Jericho Records, comes as a complete work - a coherent crystallization of the ever present biblical story of Jericho. Divided into the three chapters (The City Of Jericho, The Battle and The Aftermath), the album takes the listener on a bold and emblematic journey, with every track further developing into the next one and some featuring collaborations with Regis, Orphx, Prurient, Cindytalk and King Dude. The Brvtalist is proud to premiere today “Swordplay” an overwhelmingly powerful track that plays with all your senses, evocative of a historical fight and at the same time blending perfectly into the dark corners of a dancefloor. The Brvtalist: For those who are not familiar with this detail, Ancient Methods is not your full time job (Michael is a lawyer and Wahiba a software developer) which is why this album probably took a little longer to be released. How do you balance these 2 aspects of your life- your day job and making music? Ancient Methods: Structure and discipline are certainly keys to cope with the sometimes insane workload. If I feel I’m getting lost in the amount of tasks I try to visualize them, making task maps and priority lists for the week or the day. But I admit I am not a machine and lack of discipline brought me into trouble a few times. The most challenging part is still to say "no" to people, for example to decline remix requests, or to reply to every email you receive during the week. Equally important, I think, is to schedule spare time to recover and to find inspiration - however, the latter are things I have recently badly neglected. TB: Given that producing music is not your primary source of income, do you think this removes some of the pressure that most producers have today, who need to release in order for their name to be known and to get more bookings? Is this influencing in any way your approach to making music? AM: It is exactly like that. The most important influence of such financial aspects is that there is no influence at all. But generally speaking I don’t know how much financial aspects can have a direct influence on the music you do. I doubt the mere resolution to make a commercially successful track would deliver the desired result if you actually dislike that kind of music. It might sound naive, but I believe you can only be good at things you actually love. But of course the financial freedom has indirect influences, for example it enables me to play less shows when I’m not feeling being on the road every weekend but prefer to spend that time on producing music in the studio. TB: The press release of The Jericho Records describes the album as “an attempt to create the pictures by the music itself”. This somehow resembles the notion of synesthesia. How do you transpose images to sound? What is the creative process behind? AM: Despite the albums documentary approach which could maybe resemble a soundtrack, the album could only remain an “imaginary soundtrack“ in absence of the corresponding pictures - and therefore the music can not underline, emphasize or complement an already existing image. That is why the attempt was indeed to make the music itself figurative, each track is meant to refer to a specific part of the Jericho story - graspable and less abstract. Of course, the groundwork was re-reading the Joshua chapters and other publications about the Jericho myth and take in the emerging pictures. Then I selected some pictures/scenes that I believe are elemental parts of the story and where I had specific ideas for stylistic devices on how to transform these pictures into music. Furthermore, I structured the story in three chapters: The City, The Battle, The Aftermath. In my perception, the actual transformation process was varying. For some pictures, for example the “Swordplay“, “Seven Shofars” or “Array The Troops” I wanted to make use of very intuitive, tangible, or you could even say stereotyped sounds that allow an immediate association. I built the tracks around these prominent key elements. For other pictures I used a rather metaphorical transformation, like in “Walls”, placing competing musical themes left and right from a wall of bass. Other pictures, in particular the last chapter were rather a certain mood or atmosphere and accordingly implemented, here the lyrics are often the most direct link to the picture of the story. TB: The album made me think at times of bands like Ordo Rosarius Equilibrio, Brighter Death Now and others that have a ritualistic approach to their sound. What would you say were the musical influences when working on The Jericho Records? AM: Thank you. The formation process has been stretched over a period of five years. Basically the entire range of music I absorbed during this time, and way too much to mention particular artists or styled here, has shaped the album. TB: Why is the story of Jericho’s battle so appealing to you? AM: It is the perfect metaphor for the ambivalent power of music unmatched in its symbolic impact. TB: Your recent performance at Berghain was truly impressive. I particularly appreciated the use of live instruments and vocals. How does it feel to play such a live show in front of a crowd that might be expecting more techno? AM: Thank you. At Berghain we had a perfect technical setup and a great crowd - lots of friends that listen to all kinds of music. Obviously it’s much easier to meet expectations of a crowd that is aware of what you are doing. But I guess for a live show, that is the significant difference versus a DJ set. In my opinion it is more important not to worry too much about the audience's expectations. Plus, there wouldn’t be much room for it anyway since all your focus is on the performance of the instruments. TB: You mentioned in the past that you rarely listen to techno. What have you been listening to lately that really made an impression? AM: That’s a difficult question since it is so much and always a mix of recent releases and "classics". Some of the most impressive recent releases have been certainly Trepaneringsritualen’s Kainskult, Bain Wolfkind’s Hand Of Death, Prurient’s Rainbow Mirror, La Breiche’s Le mal des ardent, Heaters’ Matterhorn, Alder & Ash’s Clutched In The Maw of the World. Furthermore the recent output of (Dolch), Die Wilde Jagd, Becoming Animal - only to name a few. According to the the counter on my mobile device Hypnopazuzu, Burial Hex, Giöbia, The Blue Angel Lounge, Gas, Kentin Jivek, Day Before Us, Frustration, Rome, High Functioning Flesh, Johann Sebastian Bach, Art Abscons, Hekate, Herz Jühning, Soviet Soviet, Popol Vuh, Necro Deathmort, Martial Canterel, Restive Plaggona, Wrekmeister Harmonies, Coil, Johann Jakob Froberger, Whispering Sons, Urfaust have been on heavy rotation. Lots of recent music I listen to is featured on the radio show on Berlin Community Radio. TB: How do you stay inspired, be it through music or any other source? Is there a show you attended recently that stayed with you for a long time? AM: It’s the triad of music, books and movies, lately the movies as an inspirational source suffered the most from my time famine. From the most recent shows I saw undoubtedly both Nick Cave concerts belong to the most intense and impressive shows I ever attended. TB: We live in a time when the concept of the label "Music Will Tear Down Walls" hits home more than ever. Do you believe music still has the power to tear down walls? AM: Absolutely. Delimitation and exclusion are encouraged by abstract ideologies that fuel prejudices, aversion, hate. Music and, in particular, dance music can bring people together and I believe in the power of direct encounters, face to face, similar like traveling to a foreign country, to overcome these negative forces. But remembering the ambivalence of the Jericho picture. music itself is a neutral amplifier of emotions and one can also load it with an ideological message and hereby abuse it for the contrary. TB: The album feels like a sonic journey, with highs and lows, reminding me of Joseph Campbell’s Hero’s Journey, where the hero embarks on an adventure to eventually return home transformed. Reflecting back on the work you put in and the final result, would you say that Ancient Methods changed over the years? Is there something you feel you have learned from the experience of working on this particular release? AM: I wouldn’t say my music has changed or transformed, but it has further developed. The work on the album already made me hungry for the next projects, I learned there are still so many things to explore I haven’t touched yet, so many ramifications of ideas. After so much work during the last month I would have expected to be tired and longing for a break, but I learned it’s quite the contrary. TB: Finally, what can we expect from Ancient Methods and from the label in the near and not so near future? AM: Lot’s of remixes and DJ Mixes as usual, some projects that are too early to talk about, among them sort of a mix CD; I will continue releasing on my label Persephonic Sirens, and also feature new talents such as Sharpens and Aoud. If time allows the radio show will continue and possibly the live show will be refined next year.